Happy hump day! 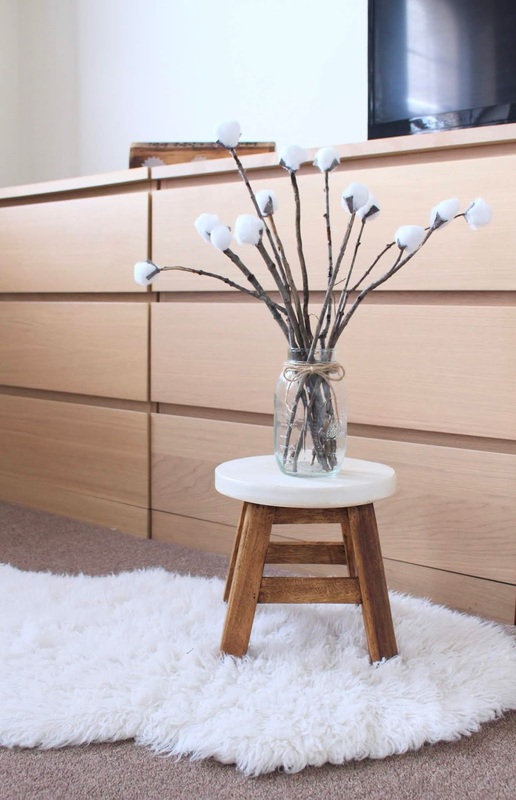 I just tackled my first Fall DIY project and I'm super excited to share it with you. 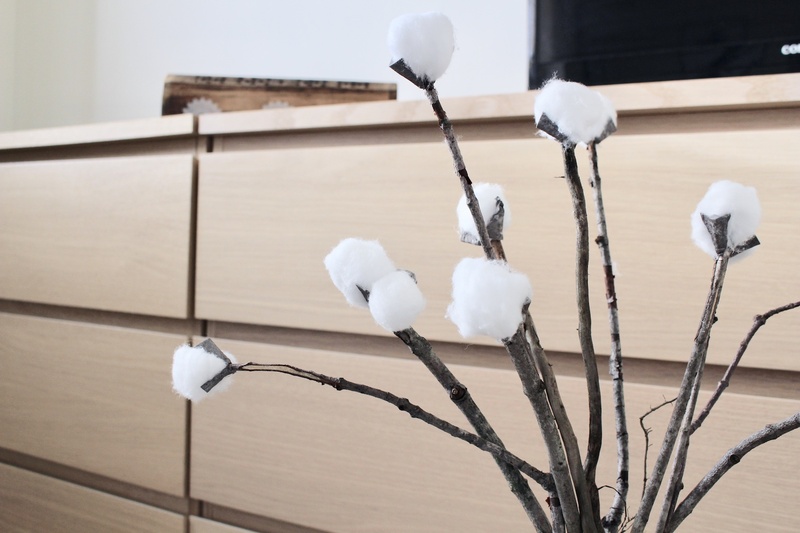 This craft was beyond easy and the 3 main supplies were things I had lying around the house. Any project that doesn't require a card swipe or trip to Michael's is a huge win in my eyes, am I right?!?!?! 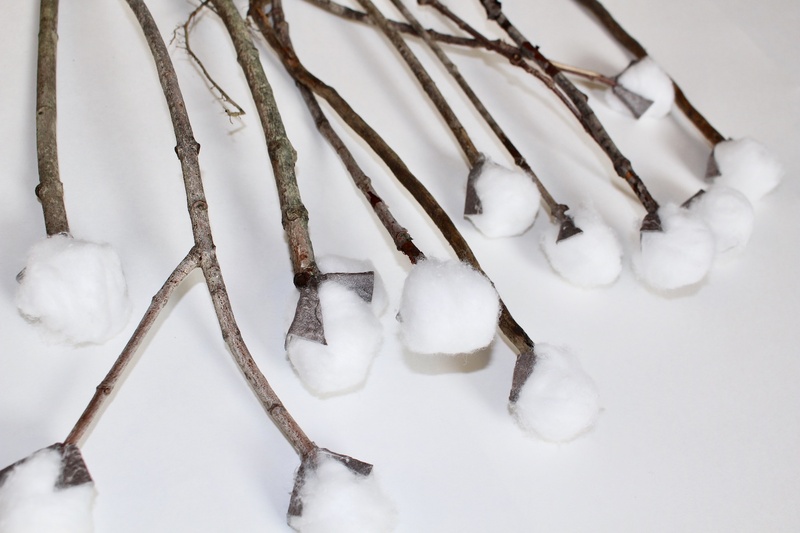 I recently saw these faux cotton stems being sold in various craft stores going for $6.99 per bunch. As chic as they were, I knew right away how insanely easy (and cheap) they'd be to make. 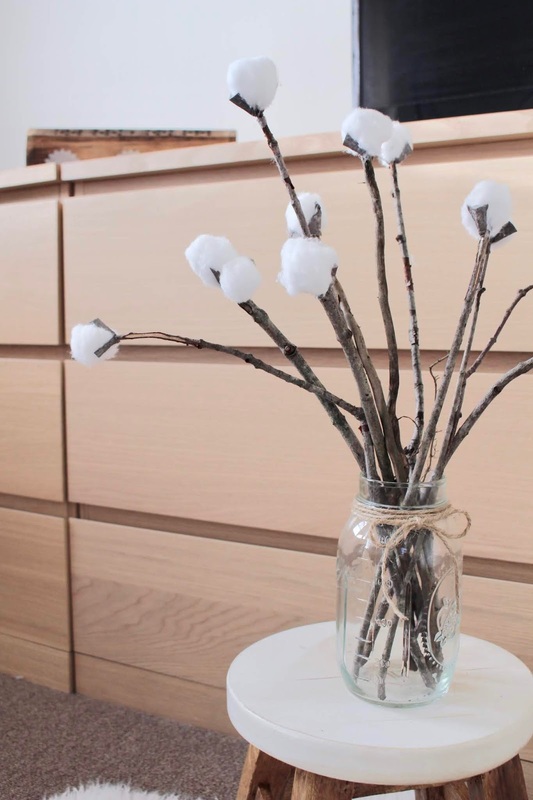 Plus, cotton stem bunches give the ultimate "rustic farmhouse" feel, so if your home has this vibe you can totally leave these out year-round. 1. 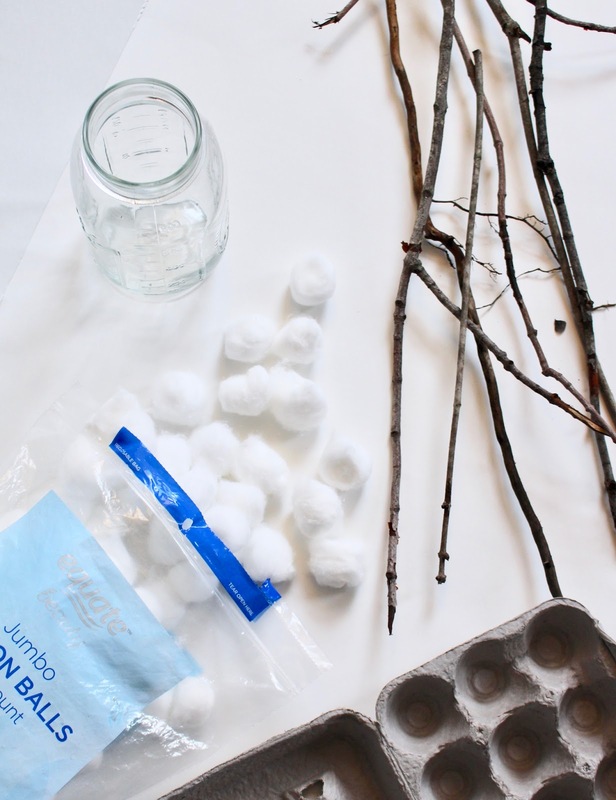 I started off by rinsing my branches under warm water because I have a sick bug phobia. This is totally optional. 2. Paint or spray paint your egg carton brown, focusing on the "divider humps (?)" that stand between the egg slots. 3. Once dry, cut an "X" on each divider hump, as seen in above photo. 4. Cut each divider hump into 4 triangles based off each "X", as seen in above photo. 5. 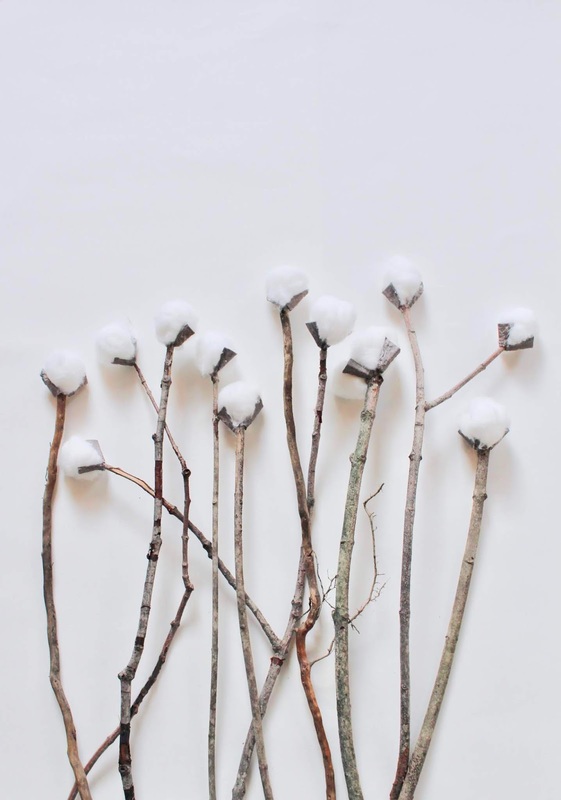 Apply hot glue directly to the end of one branch, and attach cotton ball. 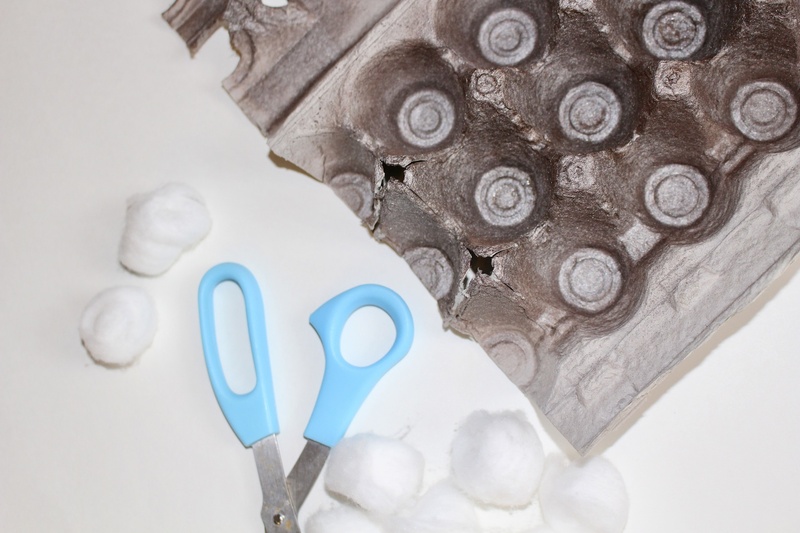 Be careful not to press too hard as you may burn your fingers or unravel the cotton. Repeat for each twig. 6. 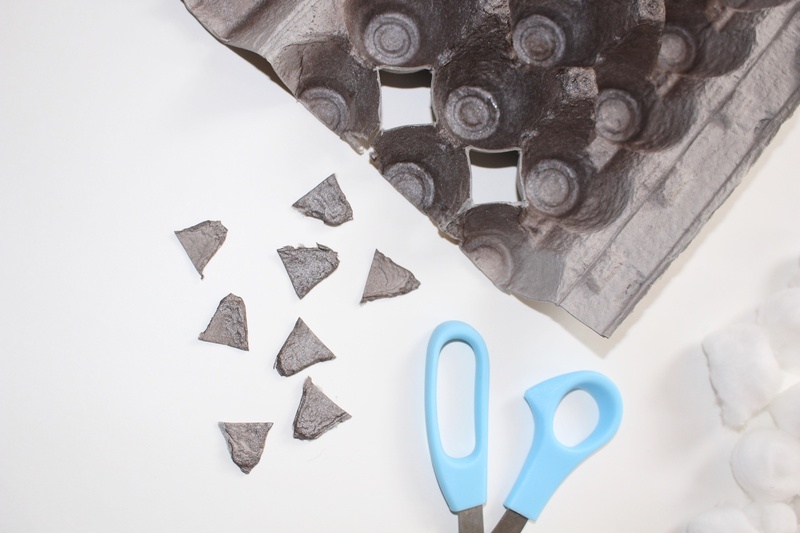 Fold each cardboard triangle cutout in half (like you're folding a pizza slice! ), painted side on the outside. 7. Hot glue the inside of each cutout and apply where the cotton meets the branch. I applied the most glue at the pointed edge of the triangle, which was glued directly to the stem. PRO TIP: pinch the folded cutout to really "grab" the cotton. 8. 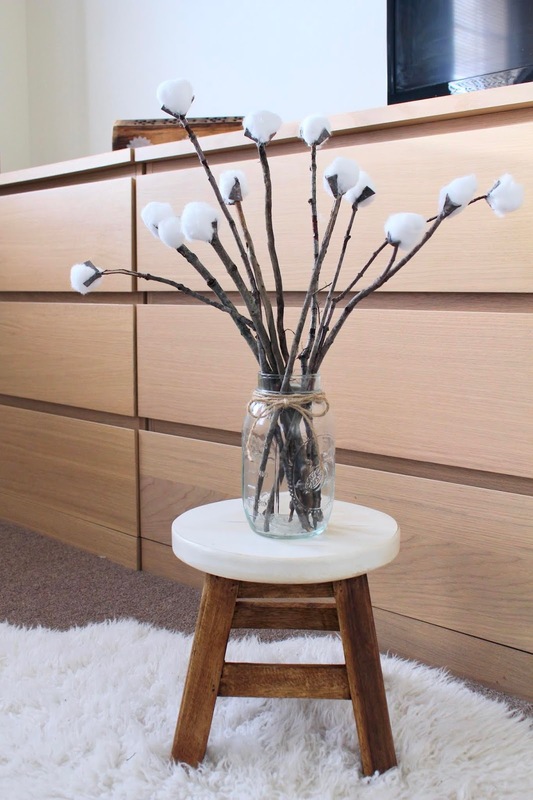 Place finished branches in a mason jar or vase; arrange, and add a ribbon or jute bow for some extra rustic detail! Now how easy was that?! Let me know how yours turns out!